Hi there! Hope that everyone is enjoying their Friday! I’ve put another little scene together featuring stuff from the Arcade – just a little mix up of things that I hope you go and grab that I find in particular awesome! I put together a little room with items from Pixel Mode – The bed, the hutch, the chandelier and the birdcage. Junk has made the chairs, the cane case, the end tables with books in them, the rug, the plant stand and the frame with lights. Keke made the large book stack and the drawer on the left. I am wearing a dress made by Rowne for Shiny Shabby. New hair from Truth, Shoes from Maitreya, and skin from Glam Affair. The curtains are new from Half Deer at Collabor88. The home is the Bennett house from Junk. 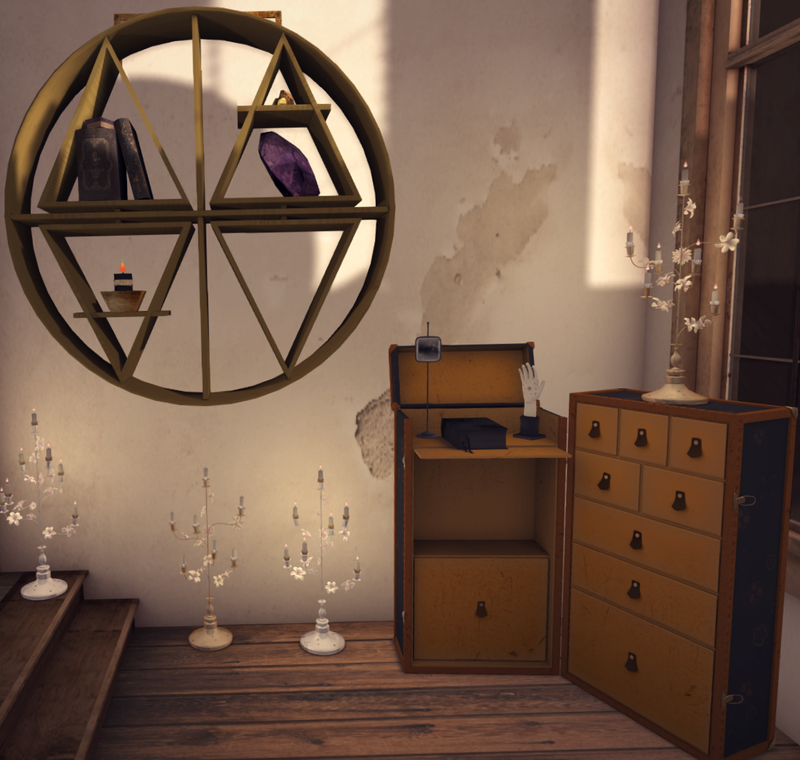 I very much enjoy the furnishings at Collabor88 this month. Everything you see in these two pictures is from Collabor88. There is this bed from Floorplan, the wall hangings and side console from Flowey, The cabinet in the back is from Keke – as well as the candelabra’s. 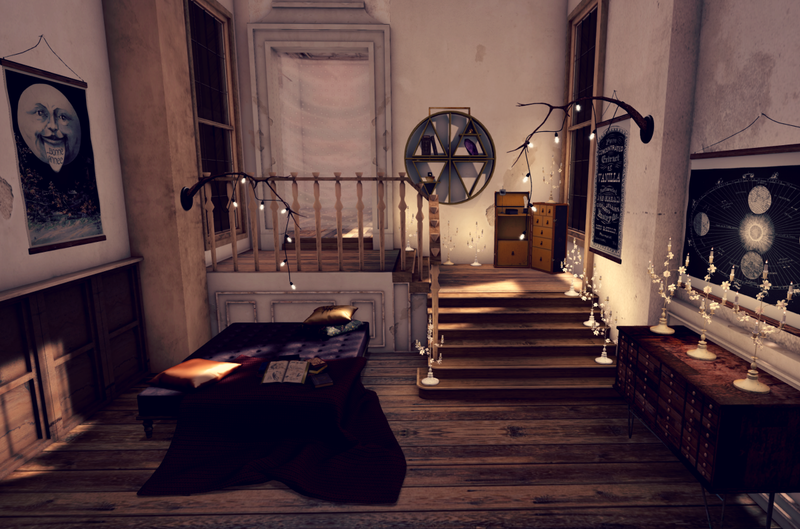 The hanging lights are from Intrigue and the skybox is from Scarlet Creative. 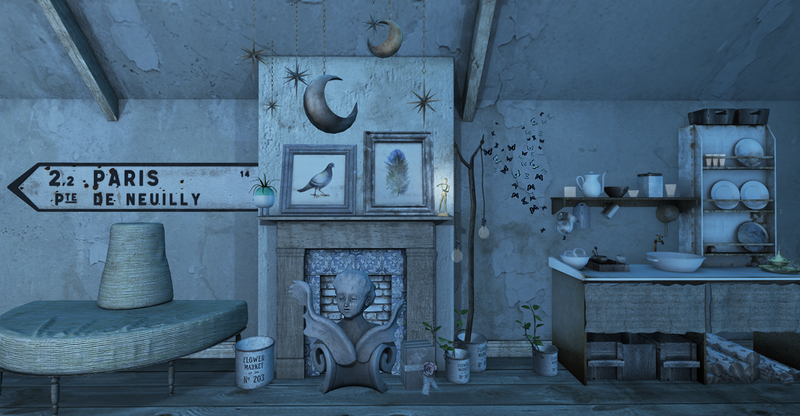 I did a little bit closer photo of the bookcase by Lark, and of the items from Keke! Opening day for the Arcade is getting closer! Just two more days and the rush is on! The wait is worth it though. This round is extra awesome and I have many things to show you. 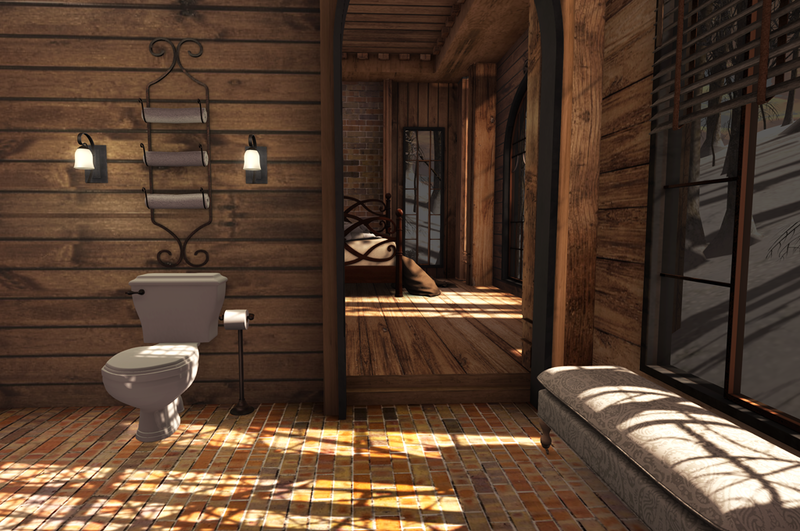 The bathtub is from Pilot – it’s the Mermaid Rare tub, and I’m also using the faucet and tray that are commons but come separately. The sea creatures, goggles, and net are all from the Secret Store. The Mini fridge with the Pin Up girl magnets is from Lark. The food on top is from Imeka. The String lights with photos, The photo on the wall, the chair and the crown are from Tres Blah. The Box of wine and the pills are from Commoner. The Glass vials and paperwork on the floor is from Keke. 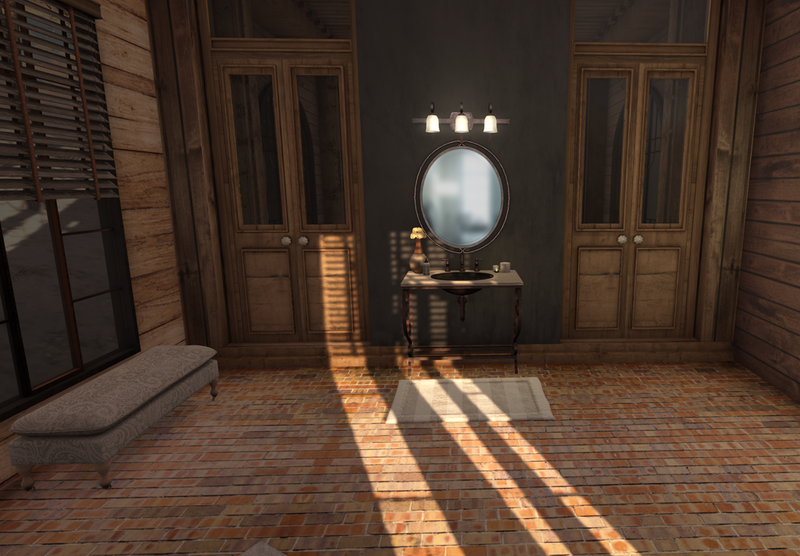 The Lamp, the room divider and the rug are from Ane. I am wearing the Tableau Vivant hair and sea kelp. The octopus on my head is from Half Deer. My skin is Livy from Glam Affair. The house is the rare from Scarlet Creative. Everything you see here you can get at the Arcade!